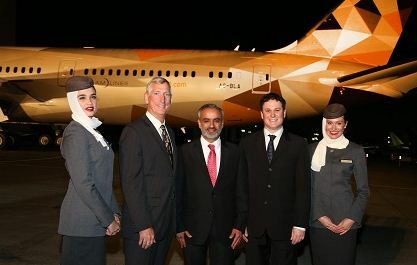 Less than a week after unveiling its first Airbus A380 in the beautiful “Facets of Abu Dhabi” livery, Etihad Airways has revealed its first Boeing 787-9 Dreamliner in the same colours. 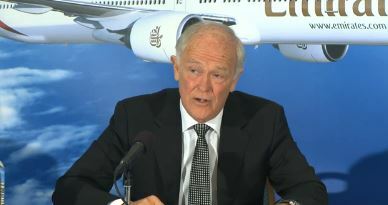 The airline says the new livery is inspired by the culture, landscapes and the modern architecture of the UAE’s capital. While the A380 rolled out of the Airbus paint hangar in Germany last week, the Dreamliner rolled out of its paint hangar in the United States on Sunday. 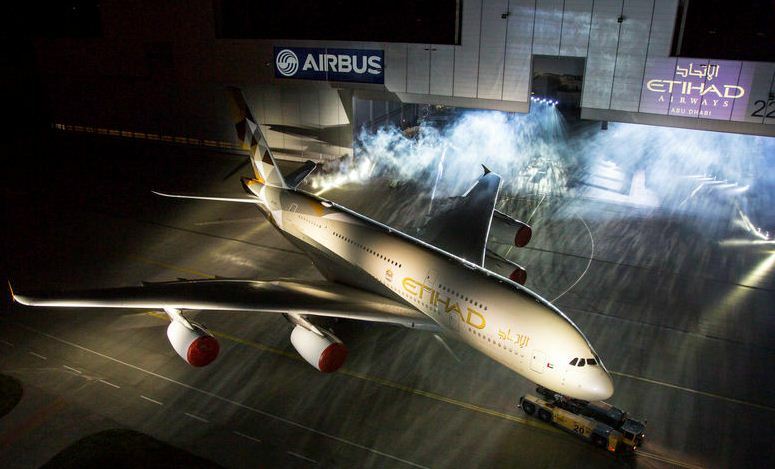 Etihad has ordered a total of 10 Superjumbos and the first A380 will operate on the Abu Dhabi-London route from December. Sydney and New York are other planned A380 routes. 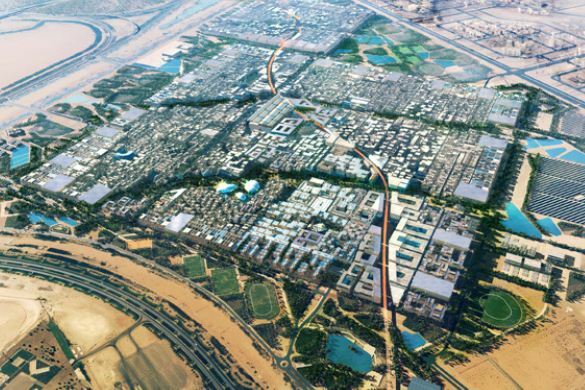 Etihad, which has ordered 71 Dreamliners including 41 787-9s, will get its first aircraft later this year. They will be introduced on six of the airline’s routes: Dusseldorf, Doha, Washington, Mumbai, Brisbane, Australia and Moscow. 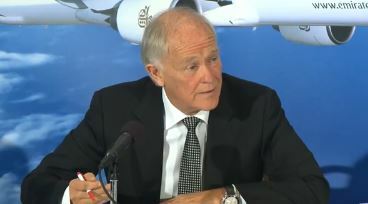 The airline hopes to paint its entire fleet of more than 100 aircraft in the new livery over the next three years.